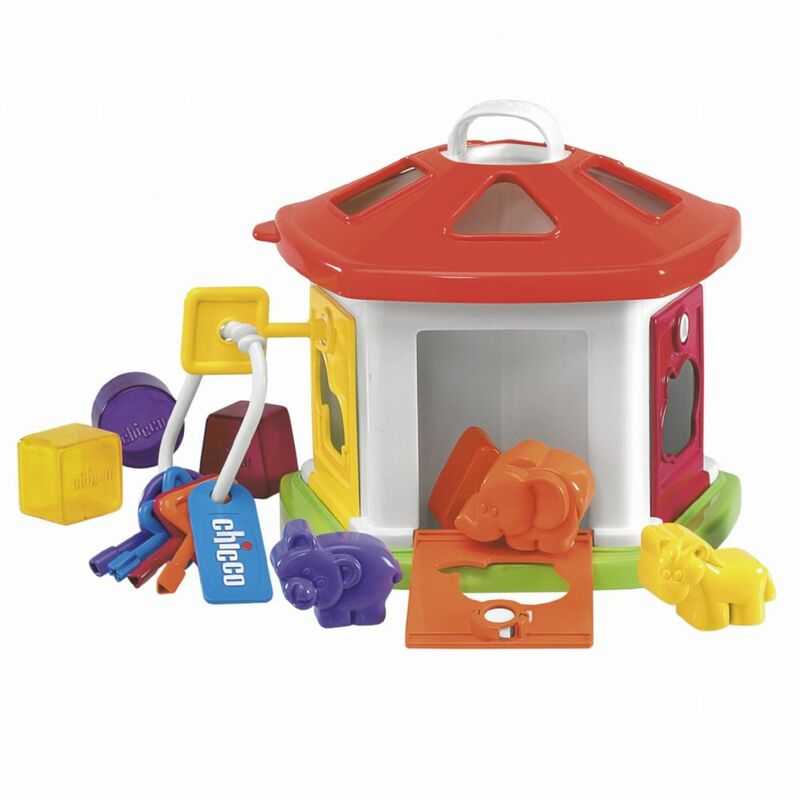 A Cottage with lots of shapes and blocks to insert in the corresponding holes. There are 5 different coloured keys that open the doors of the house to collect the shapes. It helps to develop hand- eye coordination and cognitive skills. Suitable for 12 months until 4 years.